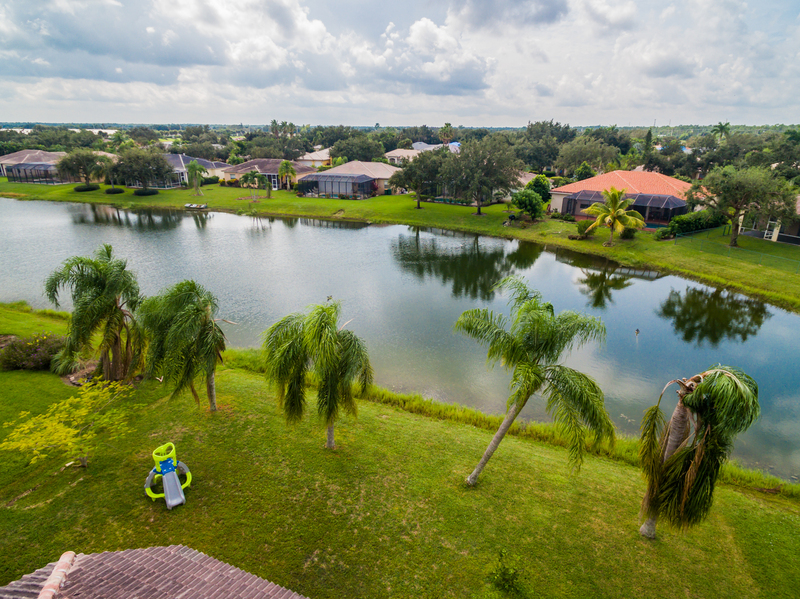 REDUCED PRICE for Naples Waterfront! This beautiful home is now $360,000! Put in your offer today. How’s this for your new backyard? Enjoy gorgeous views from your living room, master bedroom, or spacious southern exposure screened lanai. In addition to featuring a grand master bedroom suite which boasts solid french doors, his & hers walk in closets, and a fantastic master bathroom, this house offers up to 5 bedrooms. (The 5th bedroom was originally used as a den). Large, open, yet defined sitting areas allow for plenty of space for everyone. The kitchen is massive, and opens up to the living room, making an enormous space that is great for entertaining a large group. One of the bedrooms/bathrooms is separated from the house with a pocket door, acting as a separate wing- perfect for guests, parents OR the young adult still living at home. This house is located near the community swimming pool. Waterway of Naples offers high quality amenities including multiple gated entrances, clubhouse, basketball & tennis courts, gated RV & Boat Storage for a small fee. Fantastic location within walking distance to highly rated schools including: Corkscrew Elementary & Middle School, Palmetto Ridge High School. Less than 1 mile to new Publix. New AC 2017 , new dryer 2018.